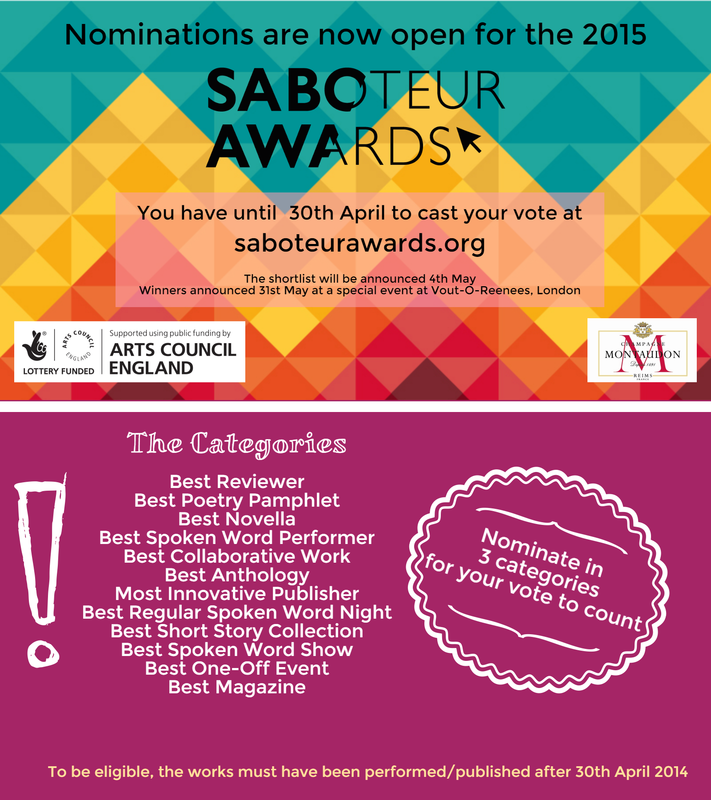 The 2015 Saboteur Awards are now open for nominations until 30th April! This is your chance to tell us about the works that really stood out for you in the last year (since 30th April 2014). There are no panels of judges, just public voting. You need to nominate in three categories for your vote to count. The top five in each category (i.e the ones with the most nominations) will go through to the shortlist. 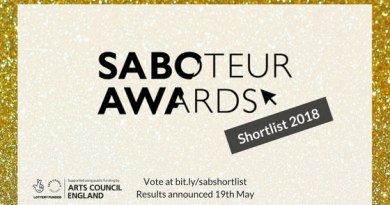 We will announce this shortlist on 4th May, where you’ll be able to vote for your favourite in each category! The final results will be announced on 31st May at a special all-day event at Vout-O-Reenees. It also happens to be our fifth birthday party, so would be great to see you there. This year’s awards are supported by a Grant for the Arts from Arts Council England. We are also sponsored by the House of Montaudon and Worsley Wines, who will be giving each winner a very special bottle of Josephine Baker champagne!